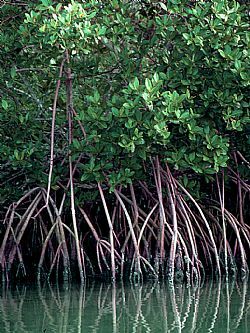 Join the Florida Department of Environmental Protection for a webinar on Apr 23, 2015 at 1:45 PM EDT on "Ecology and Explanation of the Mangrove Trimming & Preservation Act" (see link below). This training/presentation will present that importance of mangroves and the Mangrove Trimming & Preservation Act of 1996. It will help citizens of Florida understand mangroves, how to manage them effectively and what importance mangroves serve for the environment. After registering, you will receive a confirmation email containing information about joining the webinar. The webinar will be recorded, so if you are unable to participate, you’ll be able to hear it at a later date.